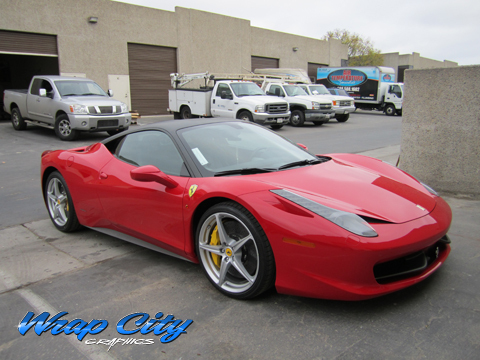 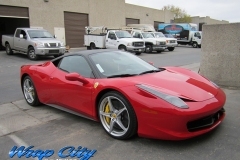 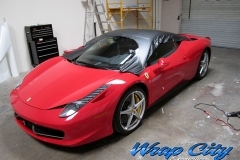 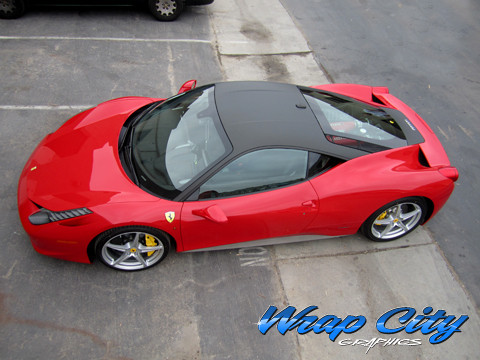 This new Ferrari 458 Italia came to us for a custom look. 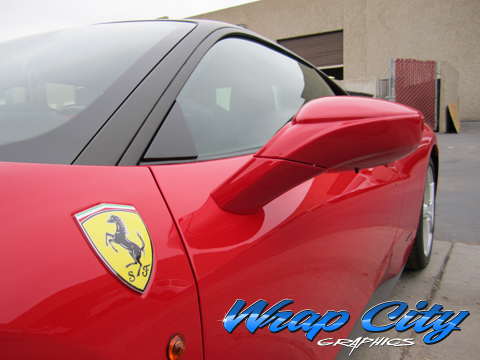 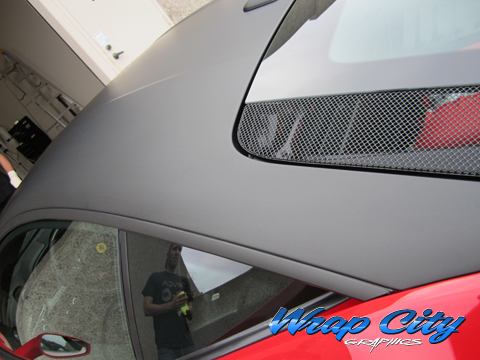 We managed a seamless paint like application using 3M matte black wrap film. 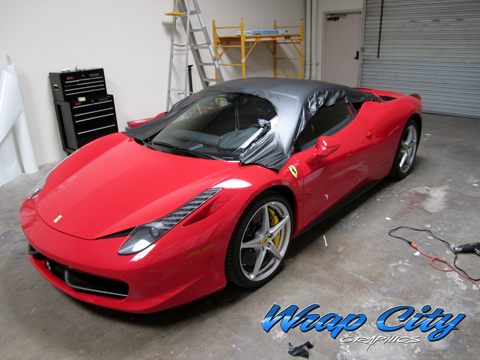 Not only is a wrap cheaper than paint, it also preserves the factory paint and is removable to assure the highest resale value. 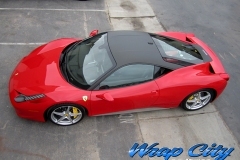 Posted in Car Wraps, Latest Projects, Uncategorized.